In our year long engagement with The Wonderful Company, 3|SHARE has learned a lot about the Adobe Experience Manager (AEM) asset lifecycle. We’ve learned where the process tends to break down, which techniques are most effective at building it back up, and how best to understand the needs of your content creators. We’ve broken the process down into its core phases and identified tips we’ve learned about each. An asset is most useful when it has a defined audience. Many companies produce assets at such a rate that it can be overwhelming to track and approve all the adjustments for a particular request, or it can be difficult to paint a good picture of how the asset will be consumed. Occasionally, the work order itself is vague or lacks the context necessary for a content creator to finish his or her work without a time-consuming back-and-forth process. Fortunately, we found several ways around this by utilizing AEM Projects to manage the process (but the concepts can be applied to any third-party task management solution). 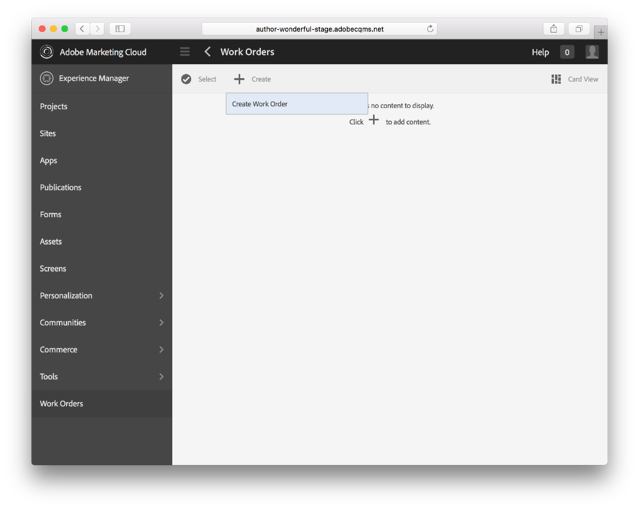 At Wonderful, we created a custom AEM console called Work Orders for each brand to request assets. These assets could be part of a marketing campaign or for an entirely new product launch - it doesn’t matter in the sense that they all start at the same place. We created the console to make user access easy, and we wanted these work orders to exist separately from the rest of the Assets content. Next, we worked closely with The Wonderful Agency as well as the brand representatives to create a form that was both approachable and useful. All relevant information is either captured from the user or is defaulted/dynamically selected based on prior selections. After several rounds of UAT, we agreed upon which field should be required and which should be optional. If a new project was part of a brand new campaign, tags and folders were automatically created so that future work could be associated with it as well. Many companies excel at asset creation. By this I mean they already have a team of talented creative people who are more than comfortable inside the Adobe Creative Cloud. However, often times their AEM Assets implementation is not optimized to support their process. Assets are poorly organized or difficult to consume so designers will either duplicate effort or spend a disproportionate amount of time finding what they need instead of creation. Fortunately, there are several proven strategies to help this process. Finding assets should not be difficult, especially with the amount of IPTC and XMP data often embedded in original assets as they are uploaded to the system. 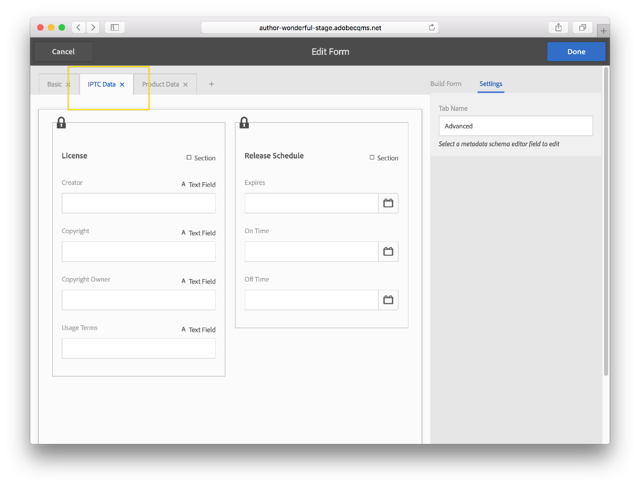 We sat down with the creative team at Wonderful to determine which embedded metadata fields should be mapped to the Metadata Schema within AEM. As part of an implementation, you need to strike a balance between complete flexibility and usefulness. Often you only need to surface the most commonly used and searchable fields as part of the extraction process. Thumbnail previews are very important for content authors as they organize a larger set of creative artifacts. Often a company will spend very little time to optimize the previews exposed through AEM Assets’ default interface. Wonderful has a variety of rendition needs when it comes to product photography. Therefore, 3|SHARE collaborated extensively with the creative team to tweak the color and quality of asset thumbnails. When we realized we needed more control over the output than AEM provides out of the box, we turned to ImageMagick to provide an advanced set of image processing options. 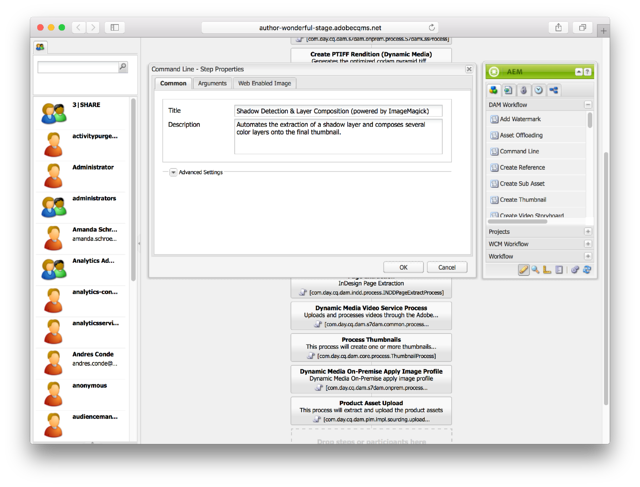 ImageMagick is a command line library that we integrate using the Command Line Process workflow step in AEM. While ImageMagick can be used for simple file conversion, we often find ourselves using it to provide advanced previews of layered graphics or to supplement the out-of-the-box image libraries provided as part of AEM. Note: Content authors generally shouldn’t be exposed to ImageMagick directly, but they should be invited to a discovery meeting as part of the initial project phase in which you define exactly how previews look and how they will be used. Unfortunately, once a company has hundreds of thousands of assets, best practices and quality assurances tend to take a backseat to speed. 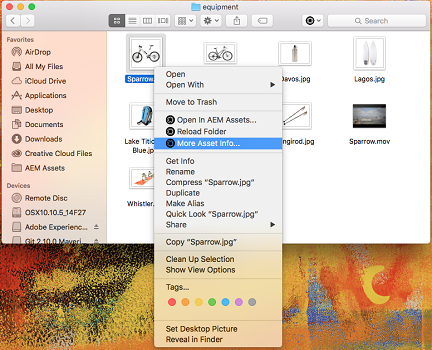 Assets aren’t always tagged appropriately or located in the proper folders. Maybe assets aren’t named according to the conventions required by end users or, more likely, by other systems that consume them for distribution or integration purposes. Therefore, whenever it is possible to reduce tedious activities or automate complex, multi-step tasks, we recommend strongly that you do so for your users. Folder structures should be as simple as possible. With each additional level in a folder tree, users have to make several more decisions and clicks in order to locate or place an asset. Therefore, if your organization’s structure necessitates a very deep structure, 3|SHARE recommends automating the process for content authors through a “drop folder” that intelligently places files in a folder based on naming convention, metadata properties, or some other trigger. If your timeline is tight, train users to use a native application for a more traditional Explorer/Finder experience. 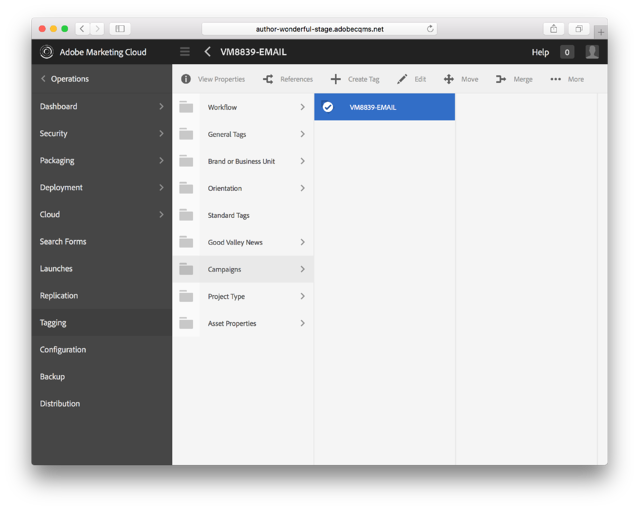 The AEM Desktop App allows you to work with assets in folders as you work your local files. If you know that every asset in the Logos folder will be an SVG or PNG and tagged as a “logo”, why force users to enter this information more than once? Metadata Processing Profiles allow you to reduce effort every time you can infer asset metadata by some other means. Once you have set up profiles for common folders, you can go even further by inheriting the assigned properties in subfolders. This takes a considerable amount of work off of the content author’s shoulders and lets them focus on their deliverables. Delivery should really be the easiest part of an asset’s lifecycle, but often there are unforeseen challenges. If you are serving your assets directly to a user’s device, Scene7 and Dynamic Media offer extensive rendering support for all the most common use cases. Delivering your assets via the Adobe Creative Cloud is also an effective way to contain storage needs and accelerate delivery through a content delivery network (CDN). In general, 3|SHARE recommends a dynamic solution like these over static renditions generated upon upload in order to meet both storage and flexibility requirements. The Wonderful Agency generates thousands of assets per week. These assets end up in offline advertising, social media marketing campaigns, and even on the products themselves that you see in your neighborhood grocery store. With such volume and velocity, it’s easy to see how the process needs to work for content authors instead of against them. That’s why we worked very closely with their team to identify potential bottlenecks at each step and implement a plan around them. 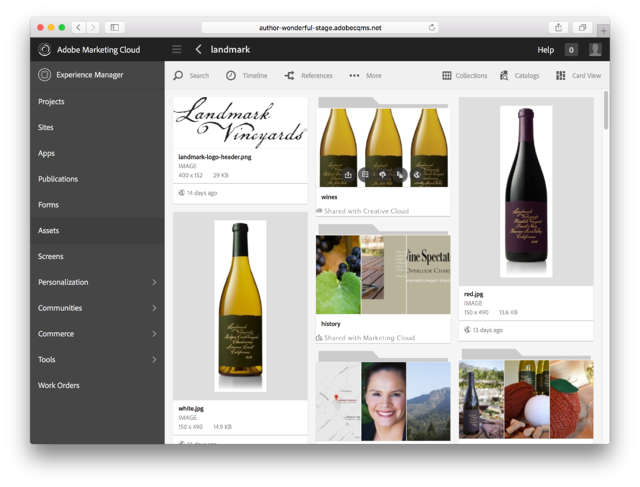 Learn how we launched 50 Adobe Experience Manager sites in 12 moths for The Wonderful Company. 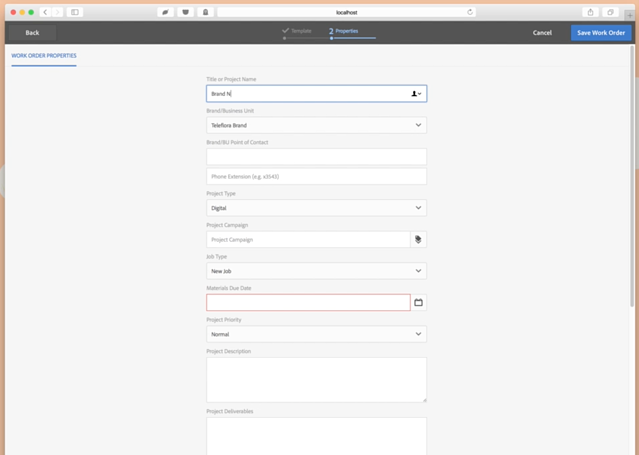 Considering an Adobe Experience Manager Assets implementation? Download our guide on How to Prepare for an AEM Assets Implementation or Contact Us - our AEM specialists will answer all of your AEM Assets questions! Paul Legan is EVP of Technology at 3|SHARE with significant experience architecting user-centric web and mobile applications. He takes his work seriously, but it's nothing compared to his focus on finding the best happy hour around.